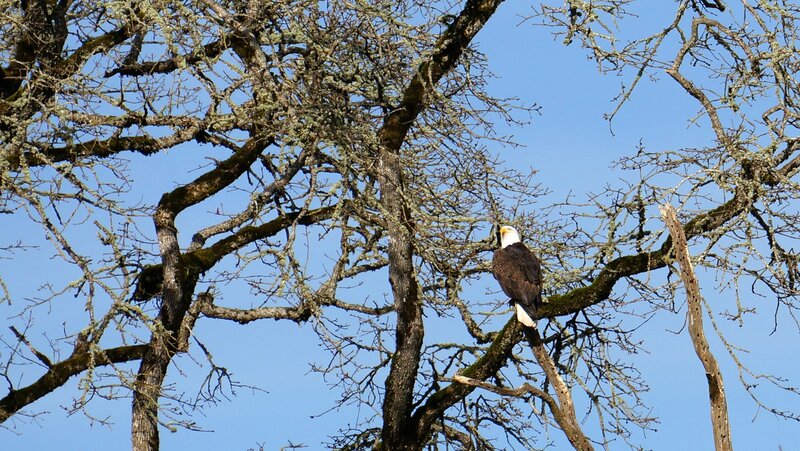 We had a bald eagle visit in the green space behind our house today. I borrowed Jamison’s camera and telephoto lens to get this shot. I hope we get more visits.